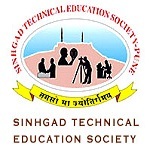 Sinhgad Institutes Pharmacy, Pune was established in year 2005 under the aegis of Sinhgad Technical Education Society. The institution is affiliated to Pune University and approved by All India Council for Technical Education (AICTE), New Delhi and Pharmacy Council of India (PCI). The college offers Undergraduate, Postgraduate and research programme in pharmaceutical Sciences. It offers its courses in its constituent Colleges of Pharmacy in various places. The college has its constituent college who offers courses in pharmacy. It has its four campuses which are located in Vadgaon, Narhe, Kondhwa and Lonavala. All the four campuses are equipped with state-of-the-art infrastructural amenities. The institution provides various infrastructural facilities within its campuses. It has a well-furnished, organized, updated and computerized library. The College has classrooms equipped with latest teaching aids, departmental laboratories, and computer labs. The college provides transportation facility to the staff and students. A sport facility including modern amenities are available within the campus. The institution has an active and effective training & placement cell which is well-established by the institution authorities. It provides placement assistance for every student. It gives placement in leading national and multinational Pharmaceutical companies. Most of the students are placed in many national and multinational Pharmaceutical companies through campus interviews.